Happy 50th Birthday De Doelen Concert Hall! We want to extend a huge congratulations to our local partners and gracious hosts de Doelen on their 50th anniversary! 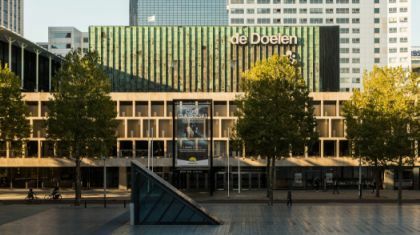 Established on this day in 1966, de Doelen has developed into an international state-of-the-art concert hall and conference centre with 600 concerts a year, attracting 450,000 visitors. 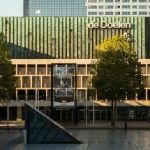 It is home to the Rotterdam Philharmonic and has taken on a vital role for Dutch classical music, taking over commissioning, programming and collaborating tasks. 2016 sees Classical:NEXT take place in de Doelen for the second time and together we celebrated their 50th anniversary with our 5th edition. Throughout the entire season, de Doelen will present a jubilee programme of world orchestras, renowned musicians, composition assignments, campus activities and participation projects, including Classical:NEXT , 25 – 28 May 2016. Find more information on de Doelen’s 50th anniversary on their website (in Dutch).